The British way? Just let the snow cover your Aston Martin prototype on winter test! 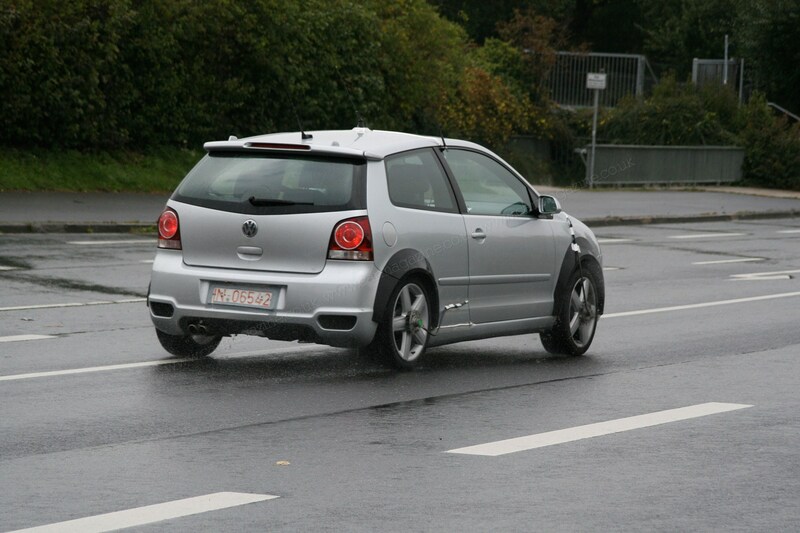 Toyota dabbled with a spin-a-disc look when it covered this Auris with CD motifs! 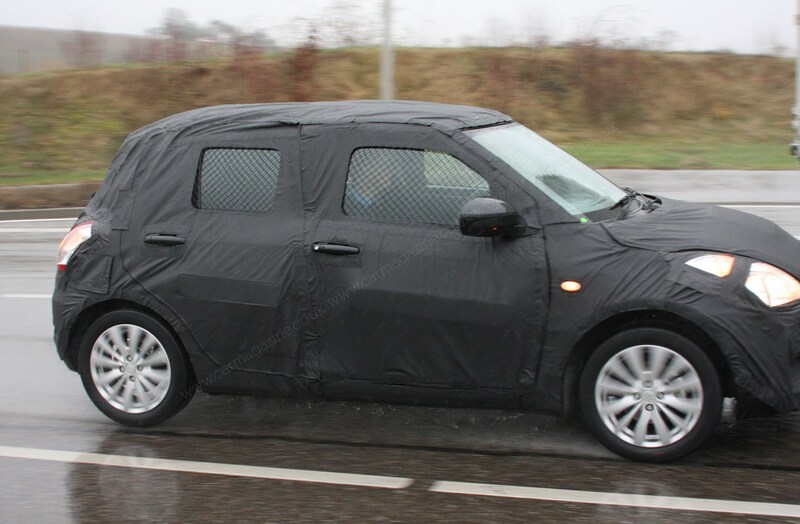 Don't forget the riot van look - pioneered here on a Suzuki Swift prototype, seemingly with barred windows to keep nosey photographers out! It's Ford again, championing the 1990s drug-addled student poster look again. 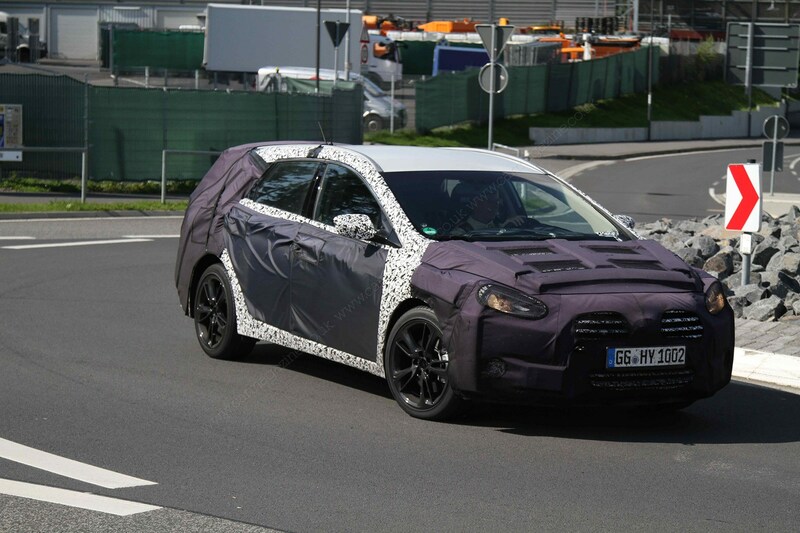 If you stare really hard at this Focus prototype, what do you see? 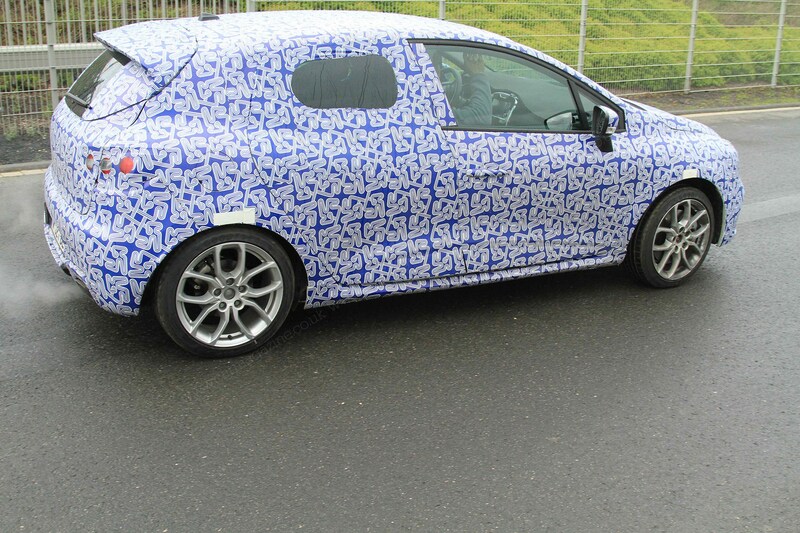 And finally, it's Vauxhall, using the little-used flock wallpaper look. Or is that one of James May's shirts? ► Gallery: a car camo masterclass! 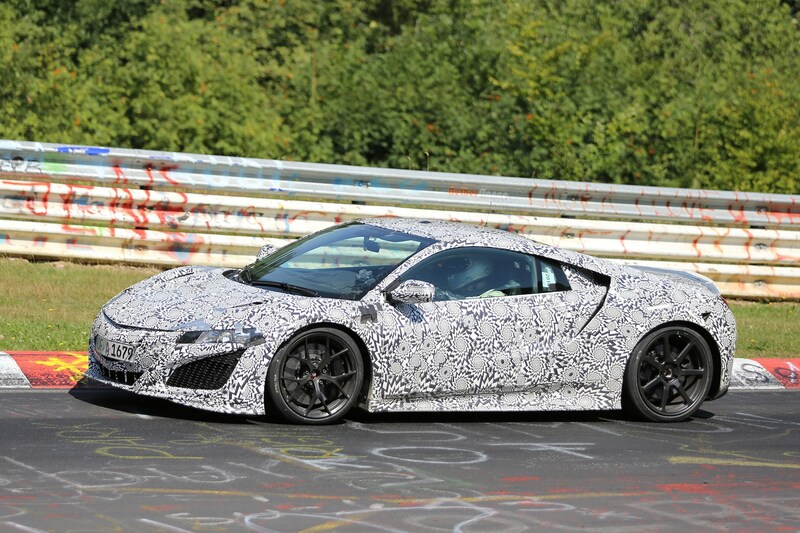 Car manufacturers go to great lengths to keep their future models under wraps - but automotive camouflage has evolved into quite an art form in recent years. 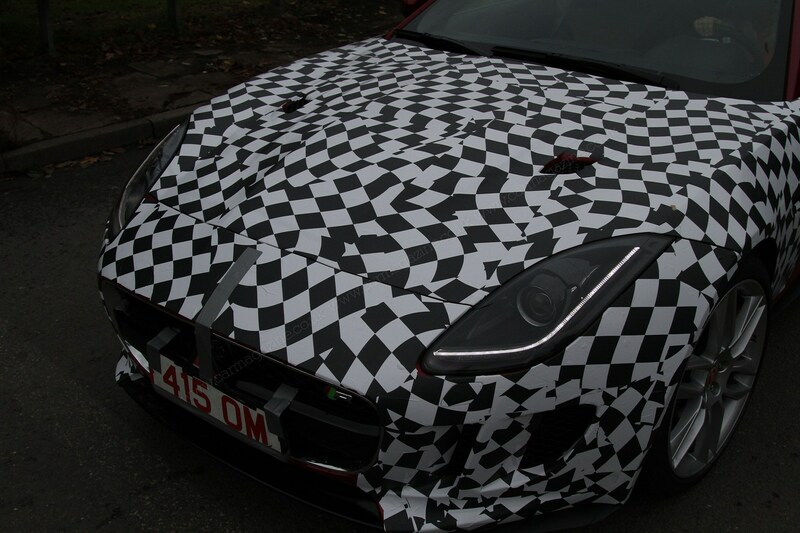 Our recent report of the new ARES Panther showed a car sporting an unusual Viking helmet wrap, confirmation that 'disguise' is nowadays almost a form of promotion. They're all at it. 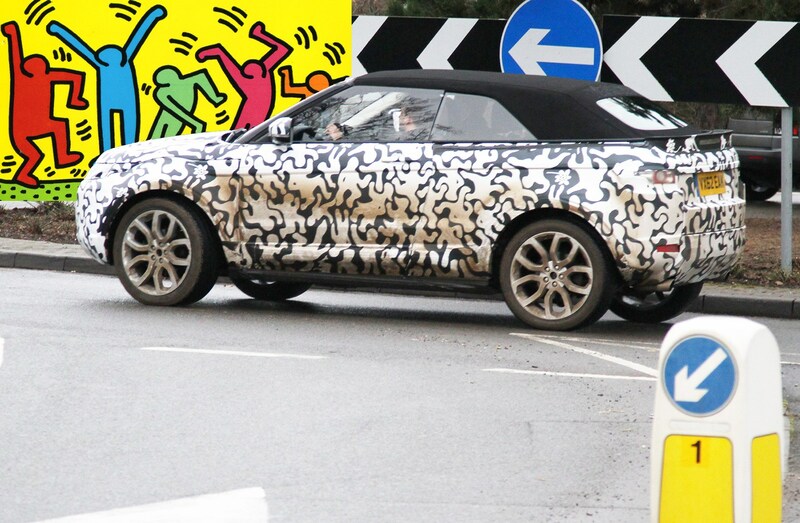 Land Rover tested its 2016 Range Rover Evoque Convertible sporting a repeated partying man motif that reminded us of Keith Haring’s funky artwork (inset, above) and most prototypes we see nowadays have some kind of distinctive 'camo'. Which got us thinking: hasn’t car disguise come a long way since the first hidden prototype shots we took in the 1970s and 1980s? 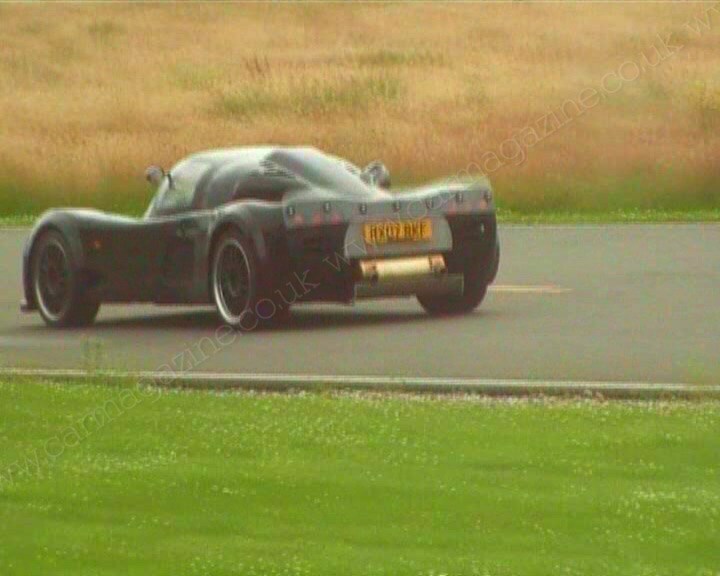 There comes a point in every car’s development where the engineers have to bite the bullet and test prototypes on the public roads; there’s only so much that a CAD programme can tell them and the real world plays an important part in most new-car programmes. This is where an appropriate disguise comes in handy. 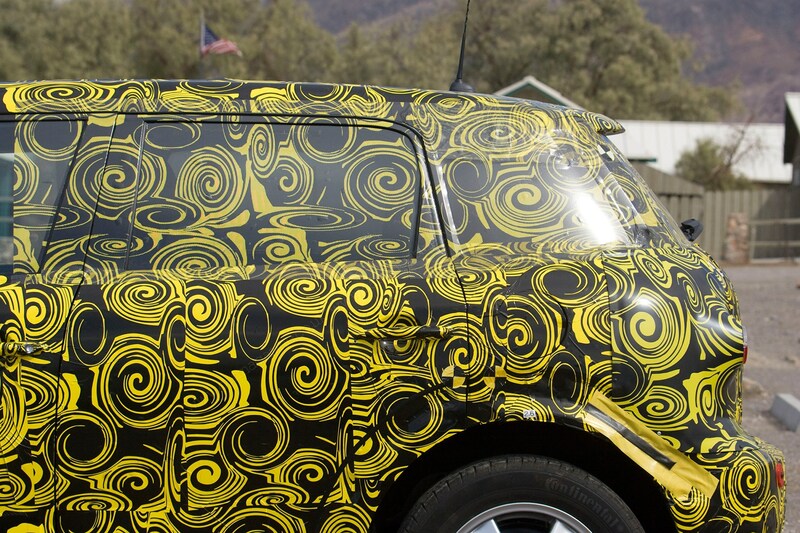 From the psychedelic swirls of vinyl wraps, designed to distract prying lenses and eyeballs away from the curvature of metal panelwork, to the fully amorphous blanket preferred by certain French companies - this is an intriguing area of the business. 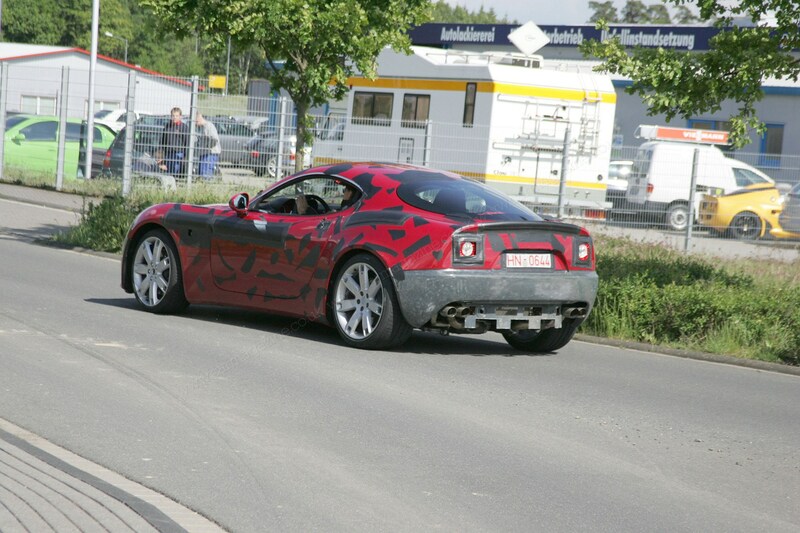 Flick through our spy photo gallery above to see what we mean. 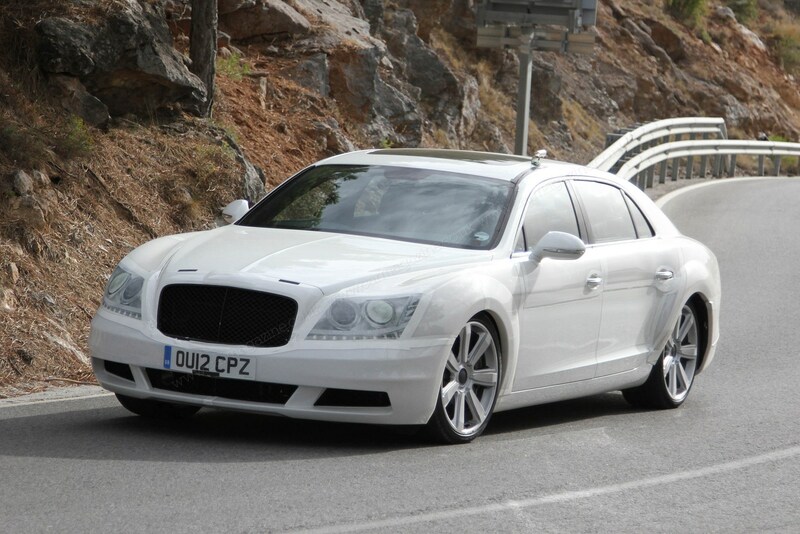 You’ll find Bentleys designed to look like Mercedes, Toyotas covered in what look like compact discs, a Hyundai sporting a black bra and an Alfa 8C covered in gaffer tape. 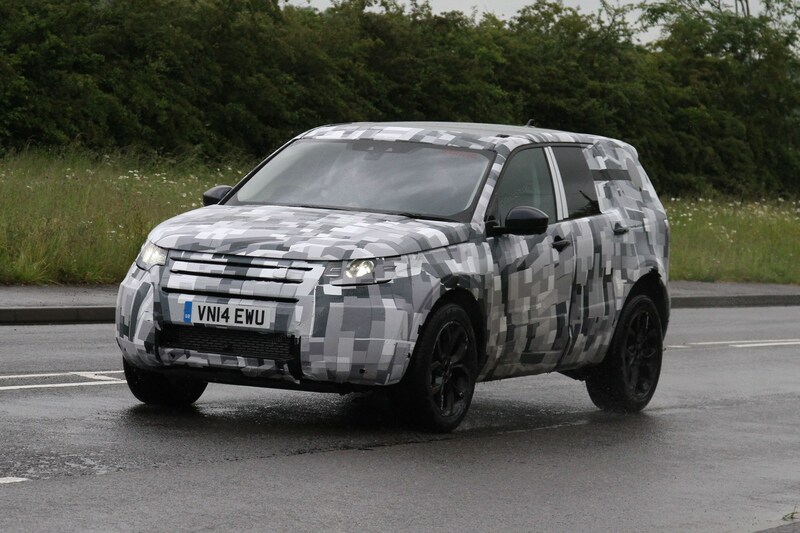 In a postmodern twist, the camo is in fact now the story - some pre-production engineering hacks increasingly look like mobile billboards and advertising hoardings. 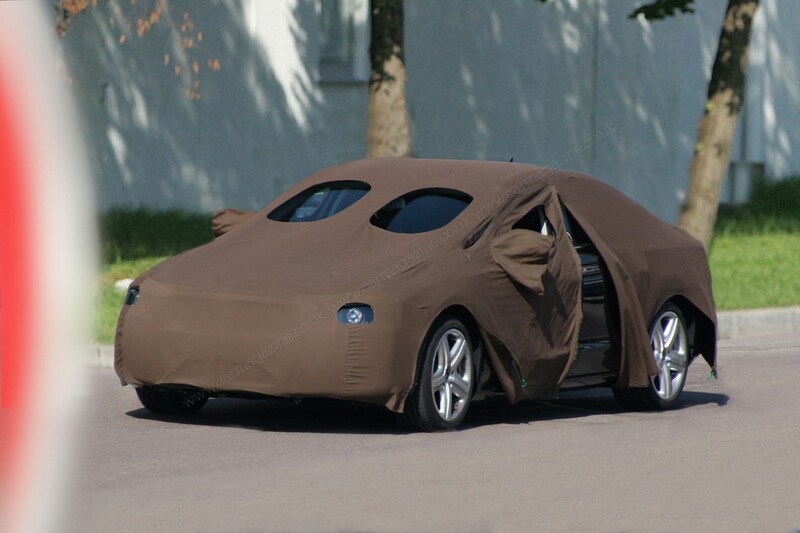 Be sure to tell us of your favourite car disguise in the comments below. 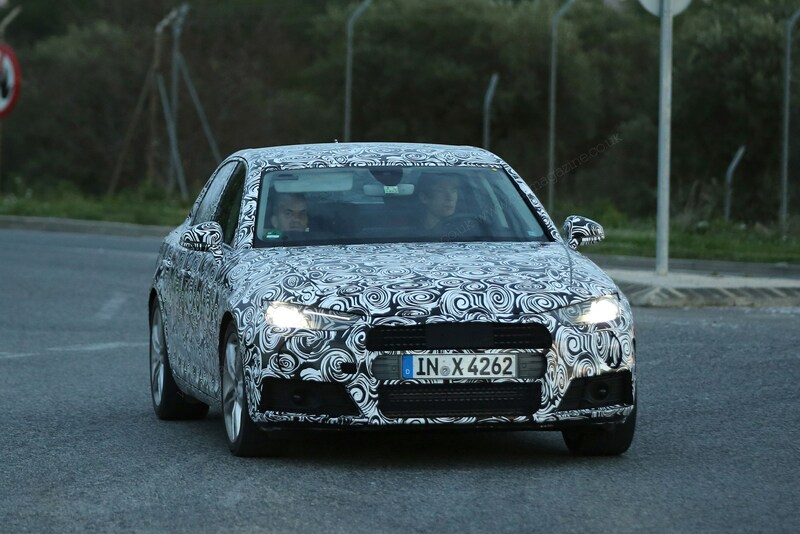 Click here to read more about prototype camouflage - and read on to find out what happened when we wrapped our European editor Georg Kacher in BMW’s latest disruptive pattern material! 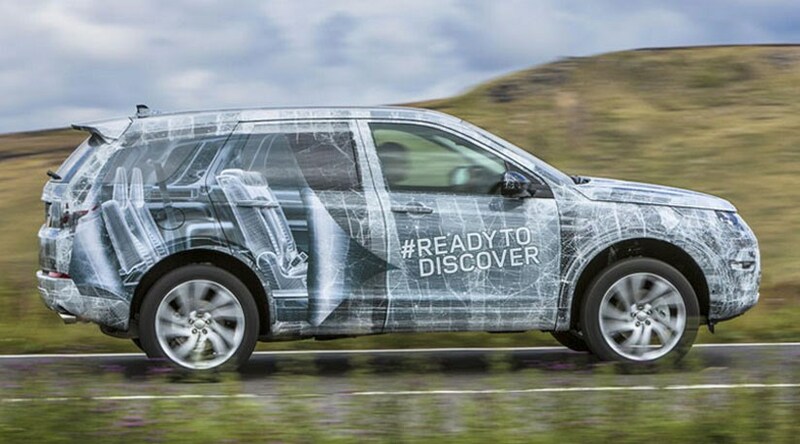 Unusual Viking helmet disguise for the 2019 ARES Panther Range Rover Evoque cabrio shrouded in Keith Haring-style camo The age-old blanket disguise method, shrouding an Audi A7 prototype The most popular camouflage among German car makers: the psychedelic swirl And the Italian way: a bit of light gaffer tape masks this Alfa Romeo 8C The Darth Vader option: matt black hides this Honda Civic Type R prototype But Honda is also partial to a bit of 1990s student poster psychedelia Just to prove how discretion is not a part of disguise any more, Mini adds a cheeky day-glo yellow to its swirling camo The British way? 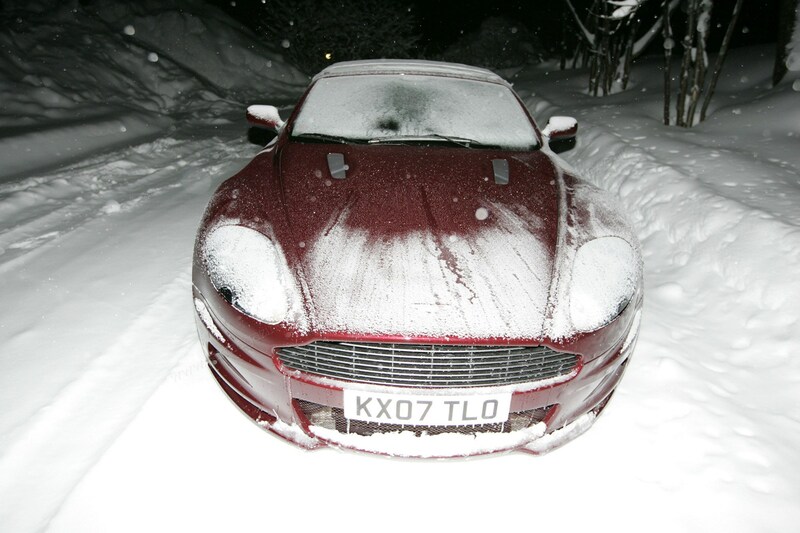 Just let the snow cover your Aston Martin prototype on winter test! 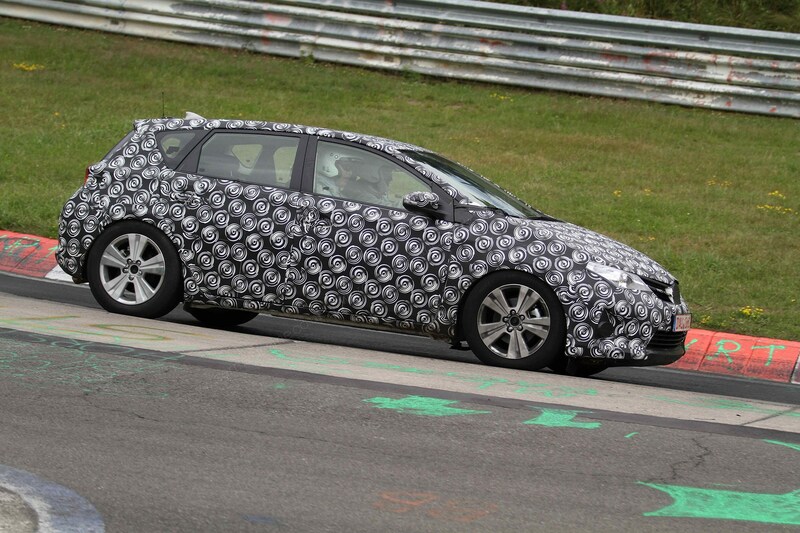 Toyota dabbled with a spin-a-disc look when it covered this Auris with CD motifs! 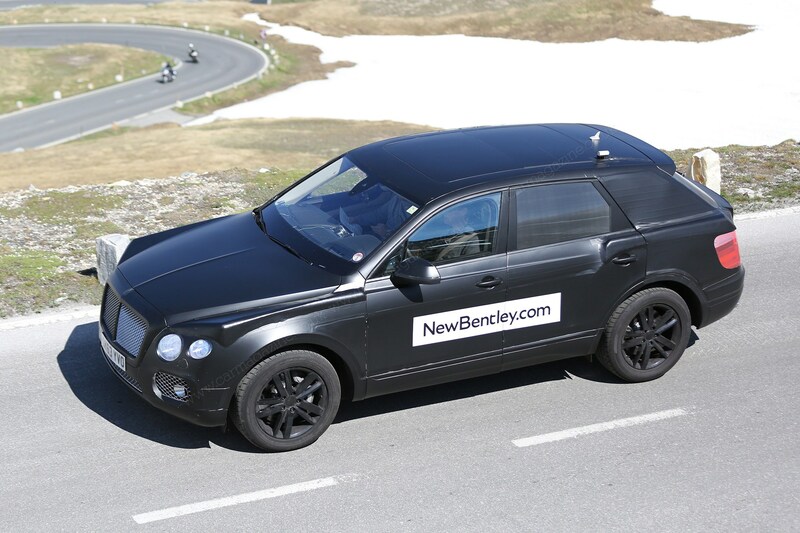 Cheekily, Bentley stuck a Mercedes grille on the front of this 2012 Flying Spur prototype to put spies off the scent And now with the Bentayga SUV Bentley has started using its camo as a mobile billboard Similarly, Land Rover has seen the promotional benefit of the vinyl wrap disguise; here the Disco Sport shows off its three rows of seats Sometimes manufacturers hide future models under other vehicles; here's an early Audi A1 stepping out as a VW Polo Similarly, McLaren disguised early MP4-12Cs as Ultima track cars during testing The greyed-out, untuned-TV look espoused by a Land Rover Discovery Sport prototype Meanwhile, sister brand Jaguar sometimes uses the chessboard look, seen masking the F-type 4wd's bonnet Don't forget the riot van look - pioneered here on a Suzuki Swift prototype, seemingly with barred windows to keep nosey photographers out! BMW was an early pioneer of the swirly-whirly black-and-white look for the trompe-l'oeiul effect Meanwhile, over in France Renault picks an infinite puzzle look to hide its new Clio Hyundai is seen here using the black bra effect - muzzling the front of its refreshed i40 It's Ford again, championing the 1990s drug-addled student poster look again. 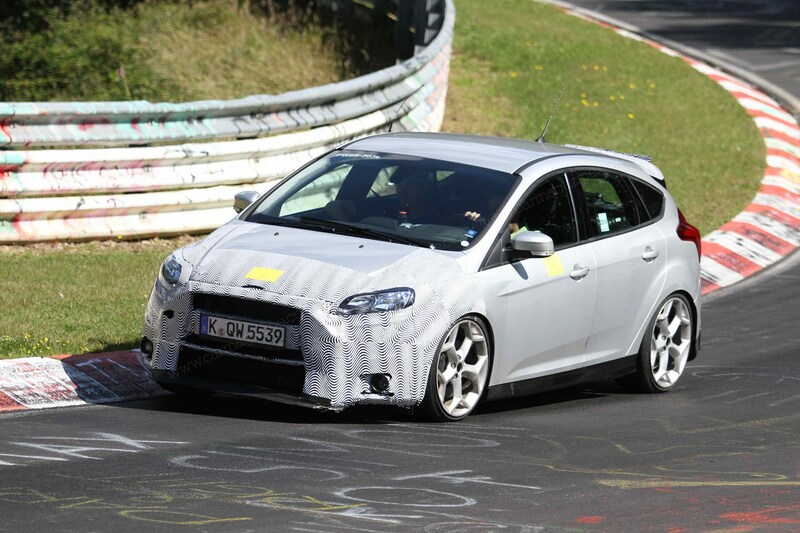 If you stare really hard at this Focus prototype, what do you see? 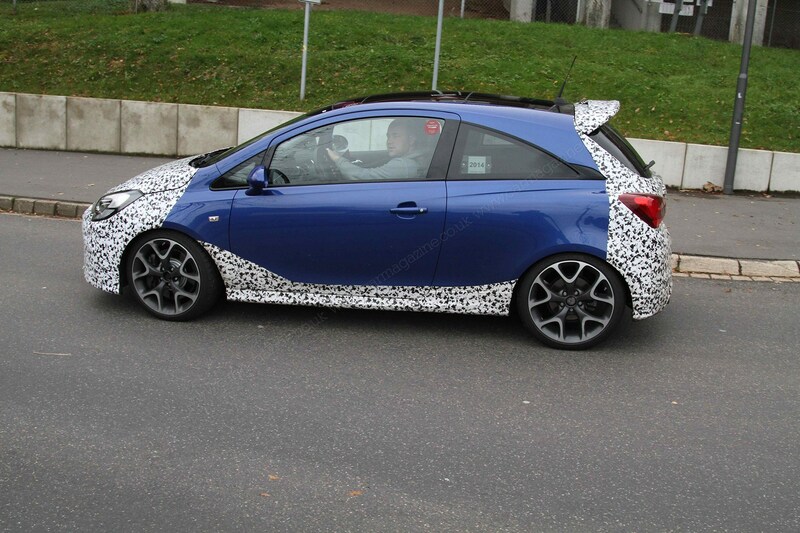 And finally, it's Vauxhall, using the little-used flock wallpaper look. Or is that one of James May's shirts?